Kaziranga National Park is known for the home to two-thirds of the world’s great one-horned rhinoceroses and is a World Heritage Site. Kaziranga is not only about seeing a Rhino. I invite you to experience the other dimensions of observing the National park through our comprehensive guide to the park. Ever wondered how it would be, to go on a safari and to make your way to the heart of a dense forest? Doing nothing! Just spending time amidst nature and exploring the splendor of the woods. And suddenly you catch the sight of a flock of exotic birds flying across the distant swamp lands. A bunch of eastern swamp deer is gracefully clipping the grass off the ground. You see a few one-horned Rhino grazing behind the elephant-grass meadows. On one side there is a herd of Asiatic buffaloes with their newly born calves. The place is quiet and still, precisely like the view in the picture below. Except, the low humming of the birds and the occasional squeaks of the squirrels, that’s hiding in the bushes. You are curiously looking out for a sloth bear or a civet cat. A royal sambar has fixed its gaze on you from a distance. All of a sudden you are shaken by the loud trumpets of an elephant, not too far from you. And looking around you see a group of people seated in a teak wood chair on the back of a gigantic elephant that is peacefully carrying them for a tour around the forest. The above description is not an excerpt from a novel, nor is it a fairytale. Such a place indeed exists. Located in the eastern corners of India, Kaziranga National Park stands majestically in all its glory in the suburbs of the Nogaon and Golaghat districts of Assam, sheltering spectacular wildlife, exotic flora and most importantly the iconic Greater One-Horned Rhinoceros. This National Park is the largest reserve for the great one-horned Rhino and shelters about 2200 Rhinos in its lap. If that sounds like a small number, I must tell you that this is approximately about two-thirds of their total World’s population. Once found across various parts of North India, this endangered species, started depleting due to excessive hunting either for sport or the trade of its exorbitantly precious horns. This continued and reached a level when the life of the one-horned rhinos came close to extinction. The rigorous conservation efforts of India and parts of Nepal raised the world population of this rare species to 3555 that once hit as low as 600. Needless to say, Assam’s Kaziranga National has extended an incredibly useful role in this initiative. 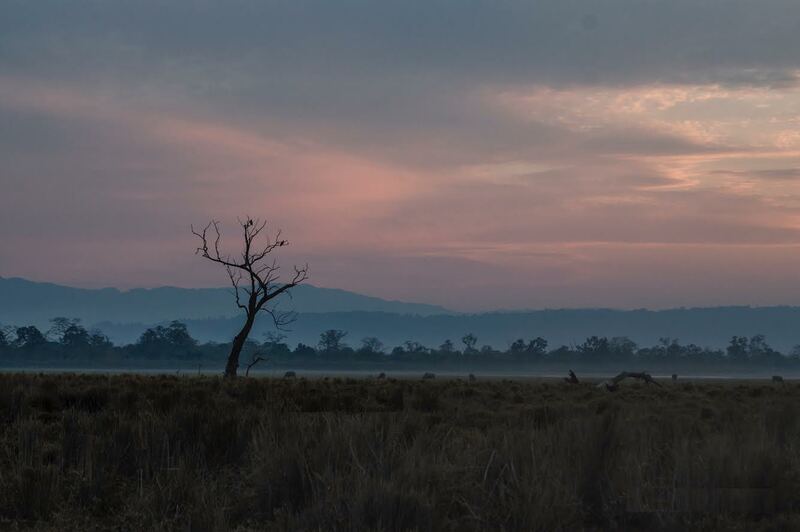 Kaziranga is a vast territory of elephant-grass meadows, swampy lagoons, and dense forests that magnificently spread across 430 square kilometers on the banks of the mighty Brahmaputra. And it is here where you can enjoy the scenic beauty I just told you about. A famous quote about mighty Brahmaputra “You Have To Cross It Twice” When travelling in the North-Eastern states of our country, you will hear this saying. If you cross the mighty river once, you have to cross it again. You cannot get away. Though I was born and raised in Assam, I had never got a chance to visit this World Heritage Site, that charms thousands of visitors every year from across the world. So last winter, I planned a trip to this exotic place that was marked by outstanding scenic beauty. 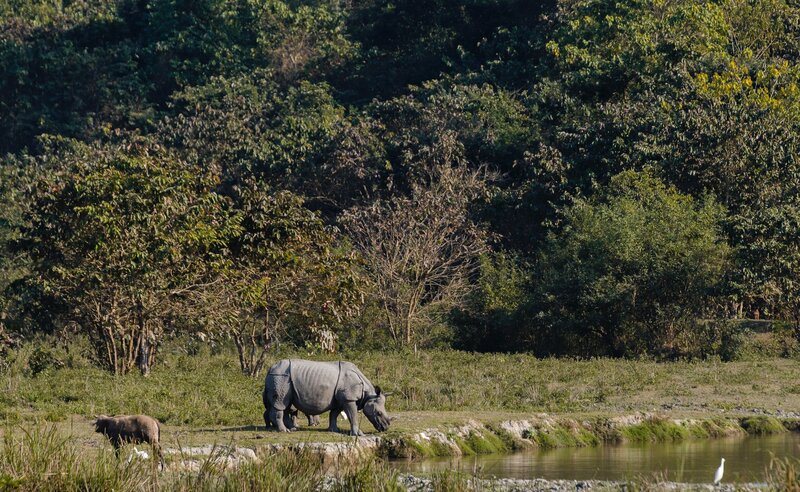 Kaziranga was established in 1905 to protect the dwindling species of the one-horned Rhinos by Lord Curzon of Kedleston (the then Viceroy of India) on his wife Mary Curzon’s insistence. 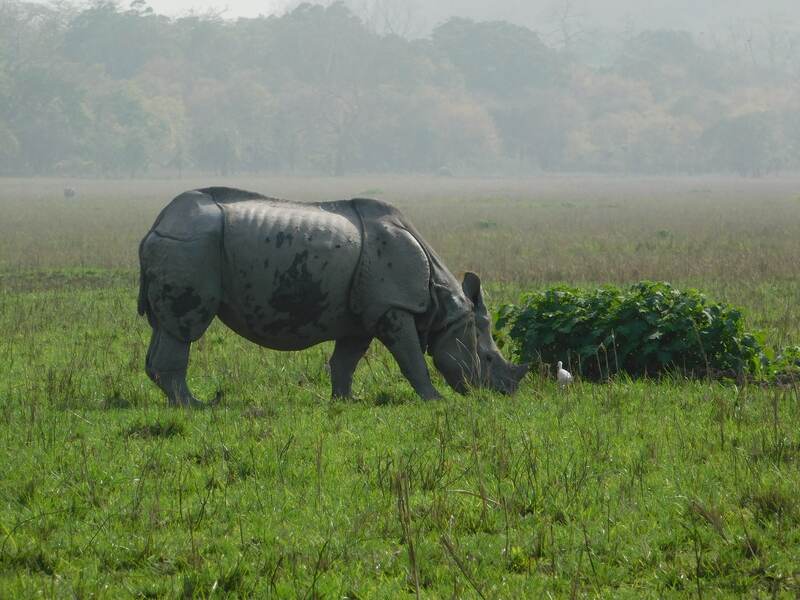 When Mary Curzon visited Kaziranga, she did not spot even a single Rhinoceros. So she persuaded her husband to take steps to protect the species. 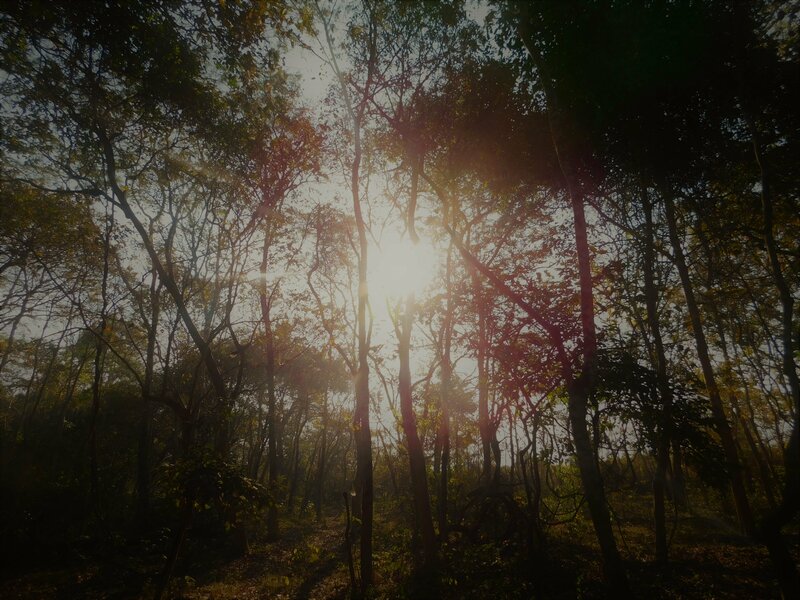 So the Kaziranga proposed Reserve forest was created with an area of 232 square kilometers. Three years later in 1908, after expanding it by 152 square kilometers to the banks of the Brahmaputra and was designated as a reserve forest. In 1916 it got the name of the game Sanctuary. 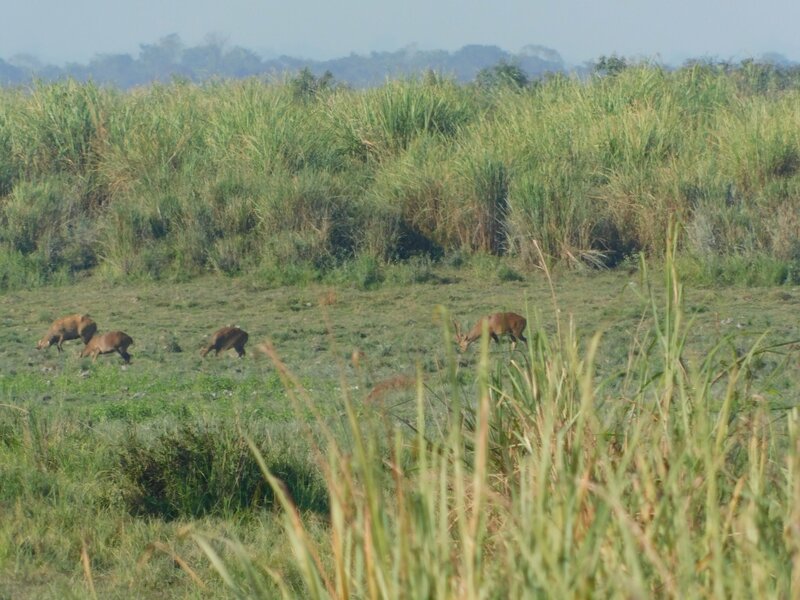 In 1950 P.D Starcey, a forest conservationist renamed it as Kaziranga Wildlife Sanctuary, just so that the association of the park to the sport of hunting gets erased. 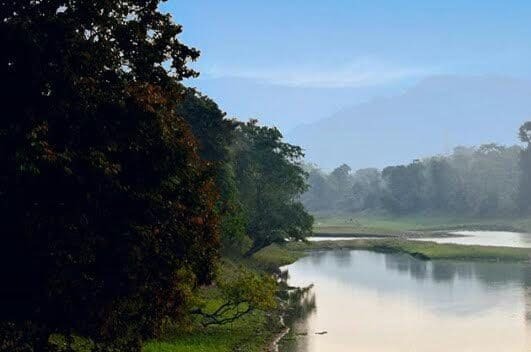 Since then, Kaziranga has been nurturing substantial natural resources that include various wildlife, exotic birds, vegetation of different sorts and the like. Fourteen years later the state government declared it as a designated National Park. In 1985, Kaziranga was announced as a World Heritage Site by UNESCO for its unique natural environment. 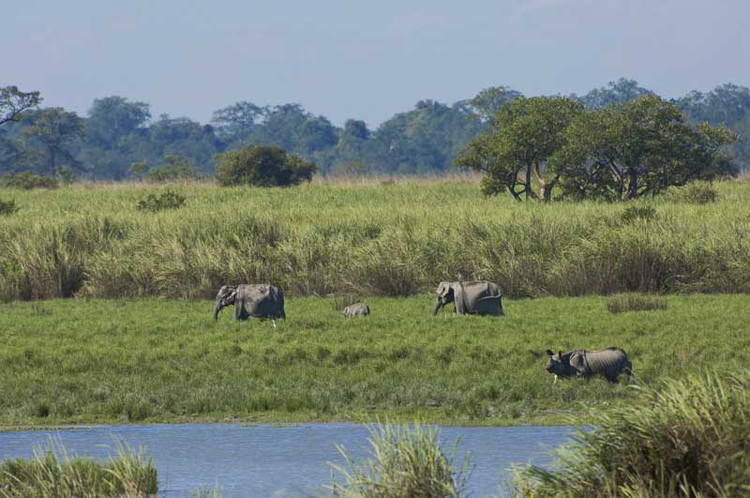 The best time to visit the Kaziranga National Park is from November to April. The climate of Kaziranga is typically tropical. The summers are hot and humid. Winters are the best time here with warm days and cold nights. Monsoons are terrible, as the water of the Brahmaputra River floods the park each year. The park remains closed from May to October. Reader’s Note!– The Park is open daily for guests from 1st November to 30th April; exceptions could be due to the heavy rains in around the park than the park has to be closed earlier by the management for safety reasons. 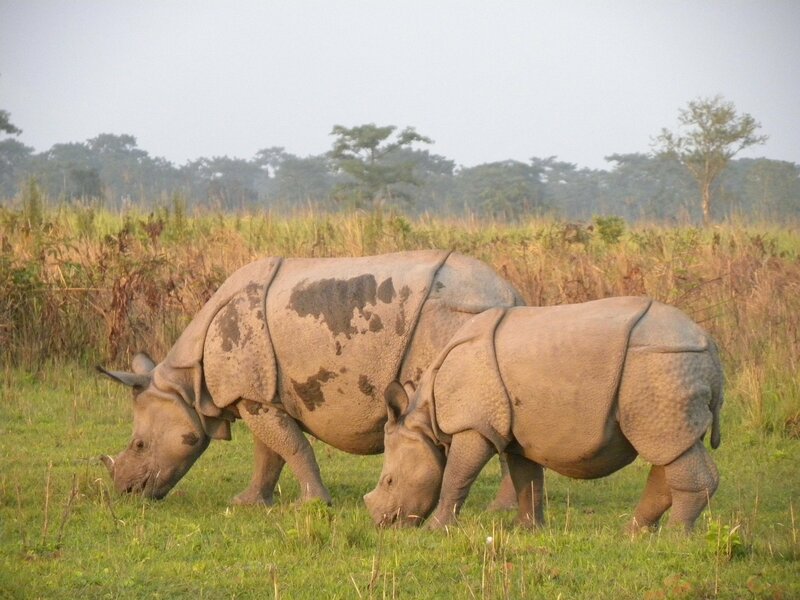 Kaziranga national park visiting time– The Park visiting hours: 5:15 am to 3:30 pm. The closing hours are scheduled to accord roughly with the seasonal variation in climate. I set off from Guwahati at around 2:30 in the afternoon in a private car. Kaziranga located about 225 km away from Guwahati, the gateway to the north-east of India. If you are traveling from outside the North-east, there are three convenient ways to reach Kaziranga. Route One: The first way to enter the park is by first taking a flight to Guwahati. 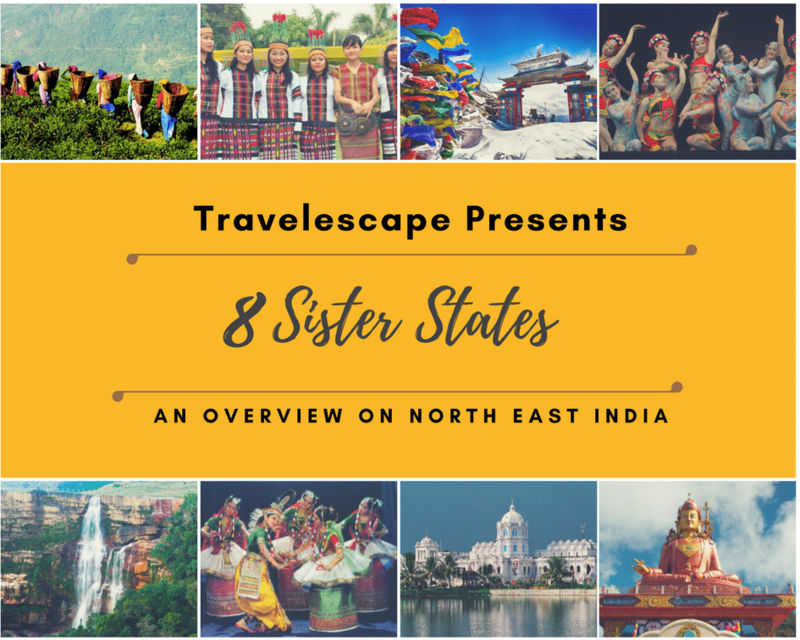 Guwahati is well connected by frequent trips from most parts of India. Once you alight at Guwahati you can either halt there for sightseeing or hit the roads directly to reach Kohora/Bagori(Kaziranga). You can hire a cab or take a bus that will drop you directly at Kohora (the central range of Kaziranga). These buses are run by the Assam State Transportation Corporation and also by a few private agencies and are available throughout the day. There are various places in Guwahati that you can go around seeing. You will need at least two days to explore the entire city properly. I will come up with another post later, which will be a comprehensive guide to the city. To reach Kohora which is 250 km away from the Guwahati airport, you would take anything between 5-6 hours of a road journey. This will depend entirely upon the traffic congestion. From Guwahati, Kaziranga can be reached directly by the NH 37. The route till Kaziranga would cover Guwahati-Sonapur-Khetri-Jagiroad-Nelli-Dharamtul-Nagaon(bypass)-Puronigodam-Samaguri-KoliaboTiniali (from where you can divert to Tezpur)-Jakhalabandha-Burapahar-Bagori-Kohora. 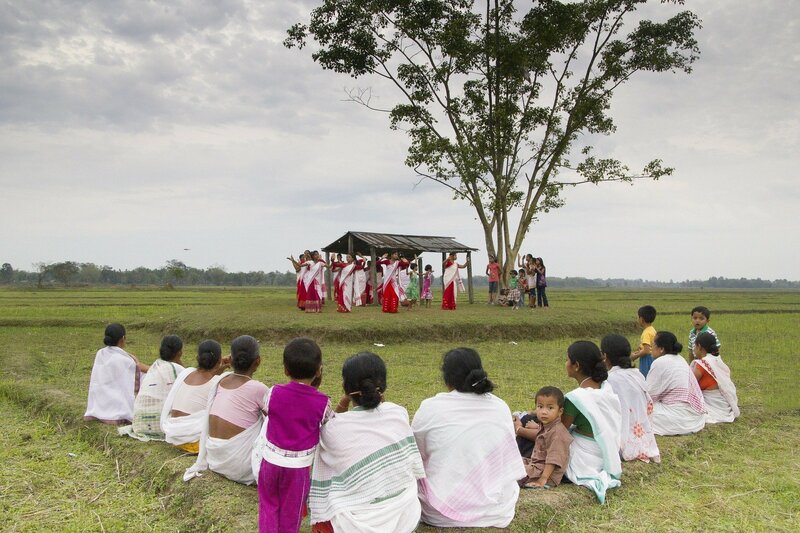 P.S – Tezpur is the cultural capital of Assam. 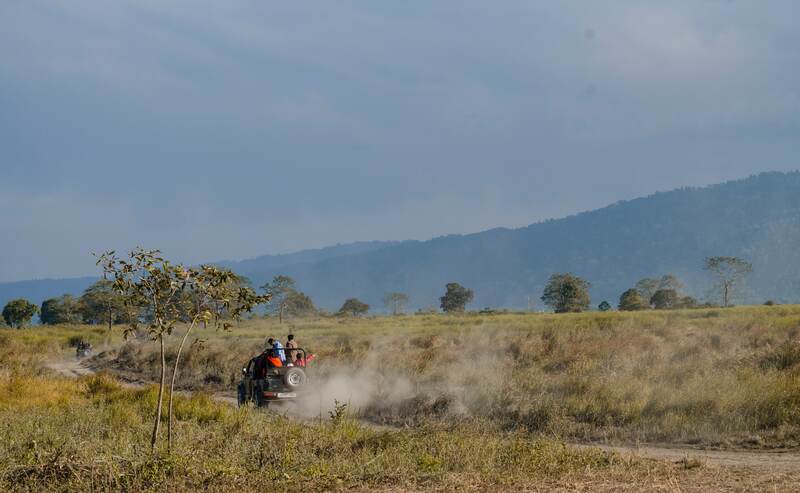 Route Two: The second way to reach the park is to take a flight to the Rowroya Airport at Jorhat, which is about approximately 100 km away from Kaziranga. You can then hire a cab or take a bus that will drop you directly at Kohora. These buses are run by the Assam State Transportation Corporation and also by a few private agencies and are available throughout the day. You will reach your destination in about 1 hour 30 minutes by taking the NH 37. Your route from Jorhat to Kohora would cover Jorhat-Dergaon-Rangamati-Badulipar-Kamargaon-Numaligarh Tiniali-Behora-Bokakhat-Kohora. 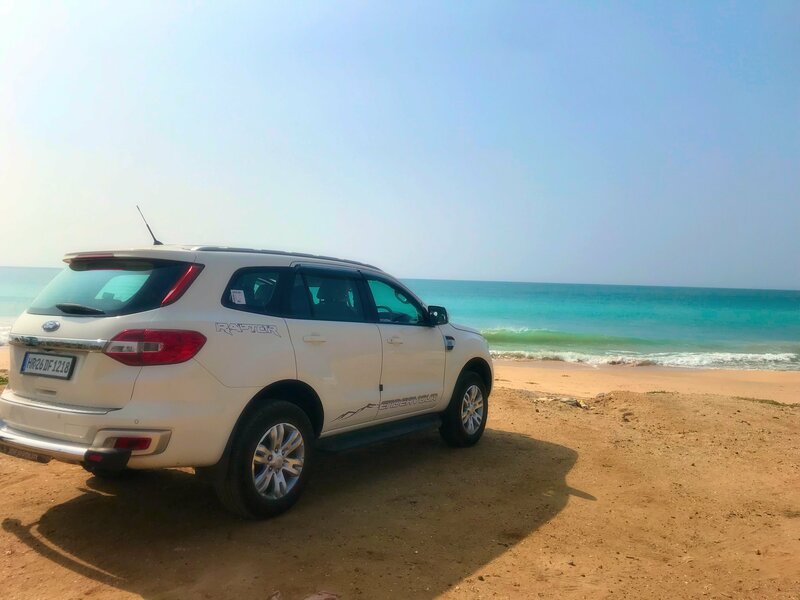 This route is a more convenient one for all those who don’t fancy long drives. Route Three: The third and the cheapest connectivity is by train. This might take you a bit longer, but will surely be comfortable in your pocket. For this route, you will first have to reach the Furkating junction from where you can hire a cab or take a bus. It will take you approximately 2 hours to reach your destination by road, which again is about 85 km away. So depending on your convenience, you can decide which route to take. The roads that lead to the park stand in stark contrast to the busy city lanes. After Behora (which is close to 45 mins away from Kaziranga) the sight through your car window will surely sweep you away with its aesthetics. It is a long marked path in the woods, that is lined by plants of different kinds. The lane would occasionally divert into the woods and lead you to a beautiful resort. My resort was some 10 minutes away from the main jungle gate. So as we drove towards it, we could see many fine-looking resorts overlooking the path. You will also see a variety of valuable trees like the Bon Chom, Segun and the like along your way. This place is a real beauty. The sun was lowering, and a thin layer of mist started surrounding the environment. The smell of the damp soil together with the mild wind made it the perfect place to be on a perfect evening. A spectacular sunset soon exploded in crimson and gold. Twilight followed and enveloped the entire surrounding in its darkness. The chirping of the birds slowly faded and the sound of our car echoed in the quiet woods. The driver who drove us was a frequent visitor to the park. So he knew the park very well. As we traveled, he showed us points from where the elephant safaris would start in the morning. The view was so beautiful that I wanted to pause for some snaps. But because it was getting dark, the driver asked us not to. Kaziranga was declared as a Tiger Reserve in 2006 and holds a record of having the highest density of tigers in the world. It also contains 480 bird species out of which 25 are globally threatened, and 21 are nearly threatened species. 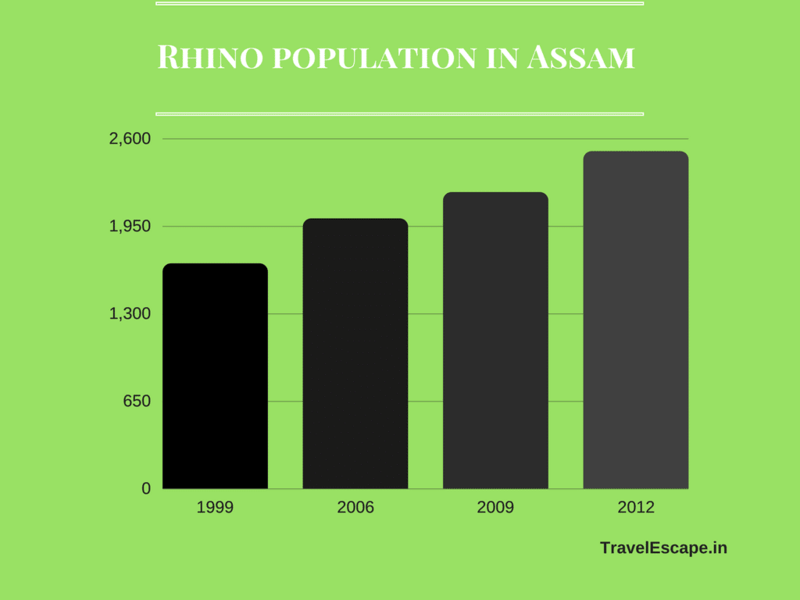 Where to Stay at Kaziranga National Park? Considering that the place is a World Heritage Site, hospitality business has flourished quite well. You will find lodgings of every kind here. From a range of luxury resorts, rest houses, to budget lodges and even dormitories the place has a series of options. Many of these resorts are funded by the Assam Tourism Department and Assam Tourism Development Corporation(ATDC). These lodges and resorts come up with excellent hospitality at a reasonable rate. So if you do your research well, you can land in a luxury hotel at a very low price. Most of these hotels also sell the “‘Jungle Plan Packages”. This makes it easier to avail a plan even if you do not book it beforehand. The jungle plan offered by these hotels covers your full-time accommodation, gate charges, elephant safari charge, jeep safari charge ( you can either opt for one of the two or go for both) and the park entry fee. However, I would suggest you plan your trip and book the hotel and jungle plan in advance. This is especially important during the peak season (winter), when the tourist flocks in, in large numbers and the hotels get all packed up. I had no idea about this and had set off without a prior reservation. When I got there, it did not feel anything like a place in the forest. The entire place was filled with people and seemed to be vivacious. There was a significant group of German bag packers too. I went to the hotel manager and asked him to reserve me a seat for the early morning elephant ride. 45 mins later I was informed that the seats for the elephant safari were all full. I tried offering them extra money too but in vain. The elephant safari in the mysterious thick forest of Kaziranga is one of the most thrilling adventures that you can engage in. Only with an elephant ride, you can get the closest glimpse of the natural vegetation, birds, and animals in the wilderness. I was very excited about it when I started off my journey. But now there was no chance I could experience the delight of it. The only option remaining for me now was the open Jeep Safari. 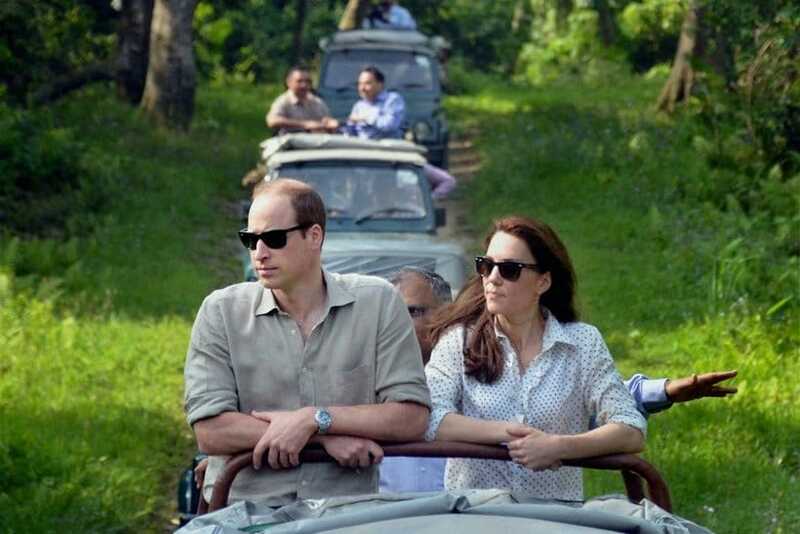 These Jeep safaris, unlike the elephant safari, are available to everyone even in the peak season. This is because the number of elephants is much lower than the number of Jeeps that take you on tour. I booked a seat for my Jeep tour in the early morning trip, which was supposed to be sharp at 7:00 am. I had my dinner and went off to my room. The long drive from Guwahati left me extremely exhausted. I slipped under my blanket and sank into a deep slumber. Sometimes later, I was woken up by the constant meowing of a kitten outside my window. I laid awake for most of the night after that. I do not remember when Hypnos seduced me back to sleep. Next, I woke up to my alarm at 6 o’clock. I quickly got ready and went downstairs to the reception area. The Jeep had already arrived. I was supposed to share my Jeep with four other members. 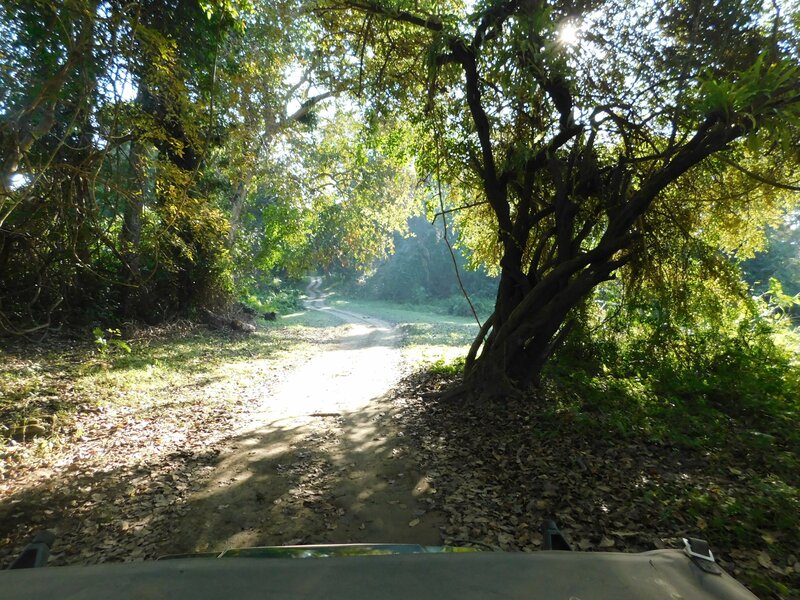 At around 6:40 we set off towards the Jungle gate from where the Jeep would take off for the safari. We are supposed to pay an entry fee at the gate. I will break down the amount below. An armed guard joined us from the gate. At 7 am sharp, we entered the gates of the jungle. You are not allowed to take private vehicles beyond this point. You will have to hire a Jeep for the jungle safari. These trips take close to 1-2 hours. As we drove deeper into the wilderness, the view became more and more fascinating. The orange-hued rays of sunrise had just kissed the sky. The songs of the birds and the smell of the wildflowers made it even more mesmerizing. At some places, the forest was densely covered with rich vegetation all covered in a thin layer of mist and dew. The branches of some trees were so thick that it blocked the sun rays entirely. This made the underneath chilling cold and dark at the same time. A cold breeze kept sweeping across all the while biting me always in my ears. The forest thickened and the pathways narrowed. It then went on and met an alley with tall elephant grass on both sides. The towering heights of the trees now reduced and we made our way through the open grass fields and swamplands that looked stunning with the Khasi and Garo hills in the background. It was an incredibly beautiful sight. After about 15 minutes we spotted the first Great One-horned Rhino grazing in the grass field in all its grandeur. What a sight it was. Because the park is spread over a vast area, the forest authorities have divided it into 4 zones. Tip ! 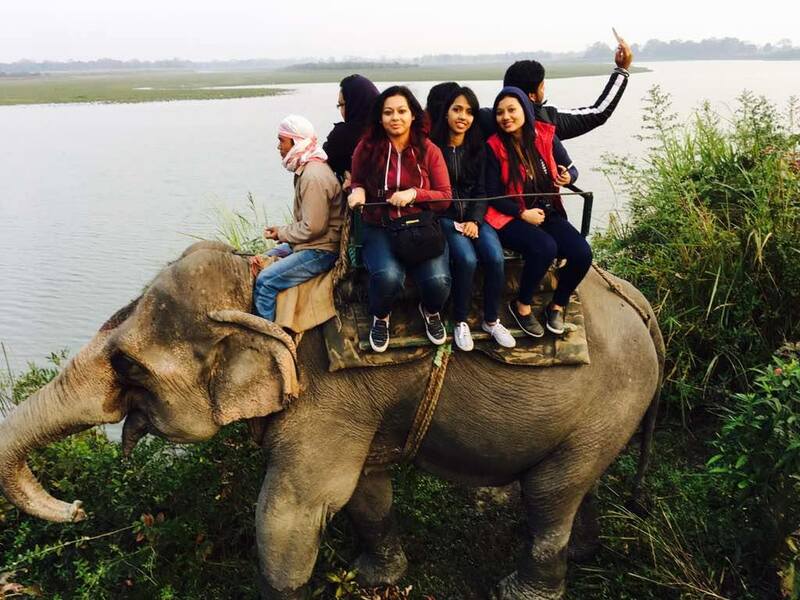 Elephant rides are possible only in the central and western range. Jeep safari is possible in all the ranges. A stop in the jungle to enjoy the scenic beauty from the watch tower. You can stop at each range which has a small watch tower built. Travelers can go to these towers and enjoy the scenic view. The one in which I stopped had a stream flowing in its back. As we made our way into the forest, we started spotting the enthralling flora and fauna that the park has securely held in reserve. Wild boars, Asiatic Buffaloes, Eastern Swamp Deer, Exotic Birds, Baby Rhinos, Egrets, Jungle Cats, Hog Bedger….all in their splendor. At around 9 o’clock, we left the forest and headed towards our resort for breakfast. An hour later, our driver drove us for sight-seeing. As I said, Kaziranga is not only about Rhino, apart from nature and the wildlife, there are other things too that might interest you. I highly recommend you to plan for these offbeat experience to make your trip memorable! The first place I went to after the park safari was the Orchid and Biodiversity Park that is about 2 km away from Kohora. This place is a paradise for all those who love gardening. Spread across 16 bighas of land this Orchid farm, houses 500 variety of orchid species that is found only in the northeast India. You will get to see various other local flowers, fruits, fishes and more than 200 variety of medicinal plants that are on the verge of becoming extinct. 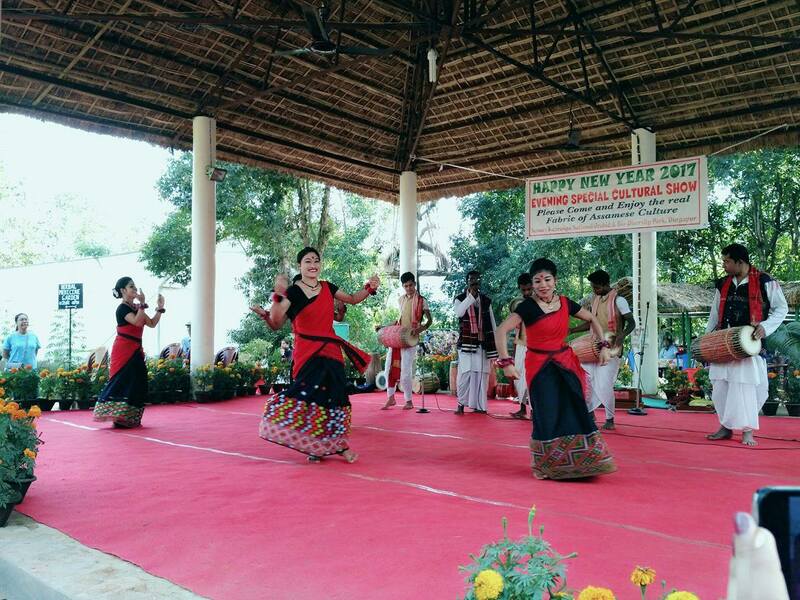 You can also enjoy the cultural show here that starts every evening at 7 o’clock. If you can not make it to the evening show, you can have glimpses of it during the day as well. This keeps repeating in every 20 minutes. Only a part of the show is covered in these 10 minutes shows. The park holds provisions for tasting the local cuisine that is available at a pocket-friendly amount. 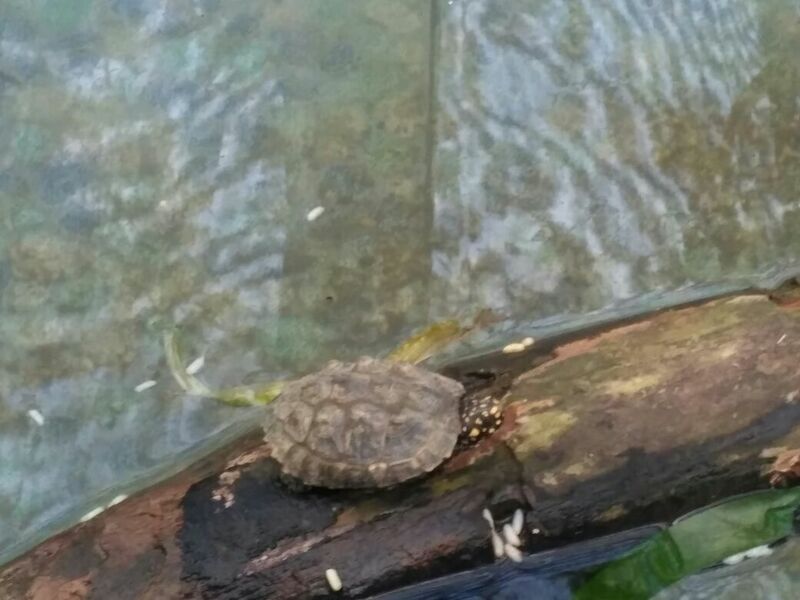 It also has a beautiful lake with boating and angling facility, a big greenhouse with a variety of orchids and a tiny artificial pond that shelters tortoises. On one side the Local women are seen working on the loom. The fundamental purpose of this park is to save and spread knowledge about the local vegetation and ethnic culture that we are losing. A glimpse of a local woman in her loom. 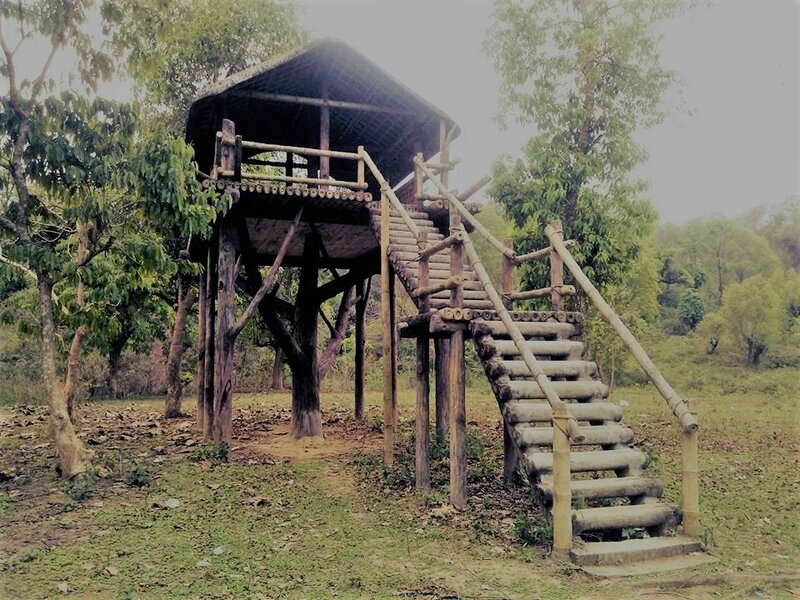 Children will love the tree house and the amusement area that has swings and other games. 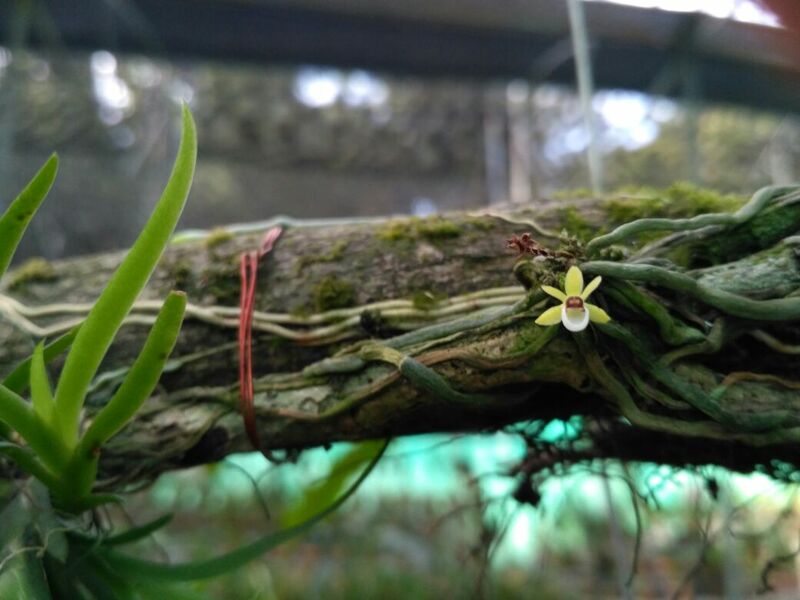 You will need at least 2 hours to go around the park properly.The park has a photo gallery that portrays an array of beautiful pictures of about 500 variety of orchids. 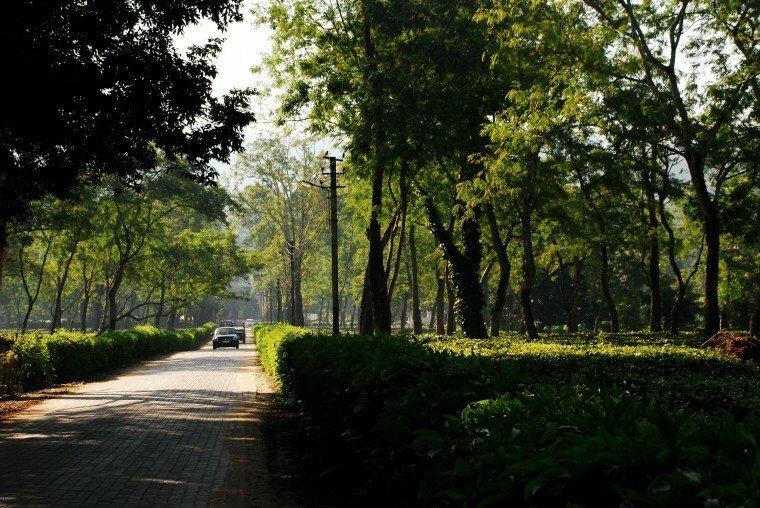 About 10 minutes away from the Orchid Park amidst the serenity of nature, lies the quiet and beautiful Ethnic village. 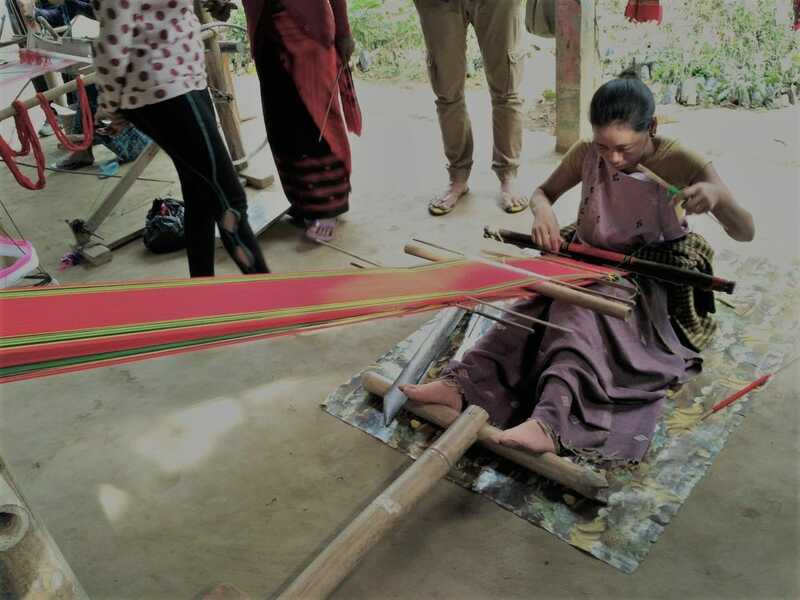 This village is a unique initiative taken by the Karbi Anglong Autonomous Council to showcase the lifestyle of the ethnic groups of the Karbi-Anglong district. The village has 12 beautiful cottages that imitate the style of the tribal houses of Assam. These houses are built on both sides of a causeway that leads you into the village. All the houses are empty ones with their separate entrances. If you go into the houses, you will feel like visiting a home of the tribes. 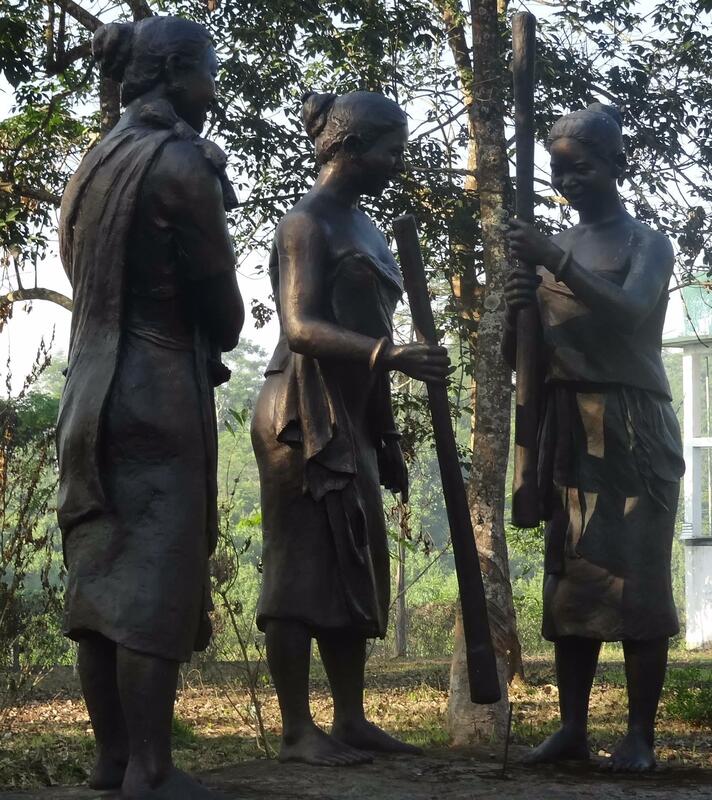 It also has a small statue garden in the entrance that has sculptures of human beings depicting the tribal lifestyle. When I visited this place, I felt like visiting a peaceful and desolate colony with beautiful row houses and of course lots of greenery. I went there at around 3:30 in the afternoon and there were just three guards at the gate and a few children playing in the statue garden. At the time of leaving, I met two local people who were parking their car at the gate. Because I was curious to know more about this place, I initiated a conversation with them. They told me the park has now been taken on lease by some private company. And the houses of the park will now be converted to luxury lodges. I could not verify the truth of their statement. But when I went inside one of these houses, I noticed that the washroom was fitted with modern equipment. So, the ethnic village might turn into a luxury hotel by the time you visit this place. I left the ethnic village at 4 o’clock and checked out from my resort about half an hour later and headed towards Guwahati. On my way back home, I thoroughly enjoyed the view of the lush green tea gardens on both sides of the road. I might have slept off on my way to the park, and I missed this beautiful sight. You can stop by any of these gardens and talk a walk around, fancying the beauty of these gardens. There are many tea gardens and factories too around this area. If you love tea gardens, then a visit to one of these can be really fulfilling. Another fantastic place to visit here is the Kaziranga Golf Resort. This beautiful resort has been built in the heart of a tea estate in Jorhat. The golf course in this resort was designed by a leading golf course architect. The club house also has a professional golf academy and a well-equipped golf pro shop. This historical archeological site of Deopahar is located, just a few kilometers away from Kaziranga. If you ever visit Kaziranga, this place is a must visit for you. 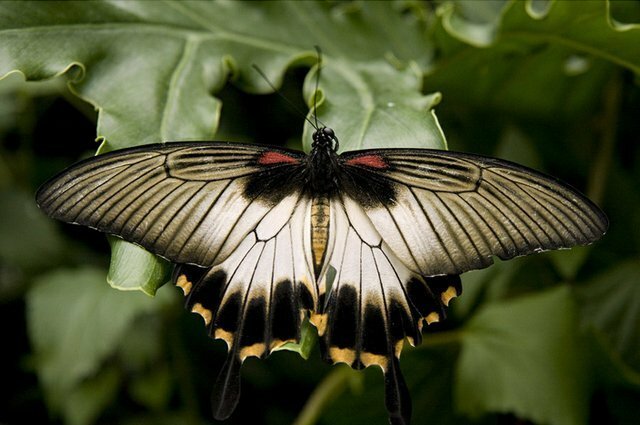 Deopahar has attracted visitors from across the country with its fascinating butterfly garden. It is one of those places in the world where you get to see thousands of exotic and unique butterflies that you rarely get to see otherwise. So, if you want to know more about the glorious past of the land of Assam, then Deopahar’s archeological site is the place to visit. 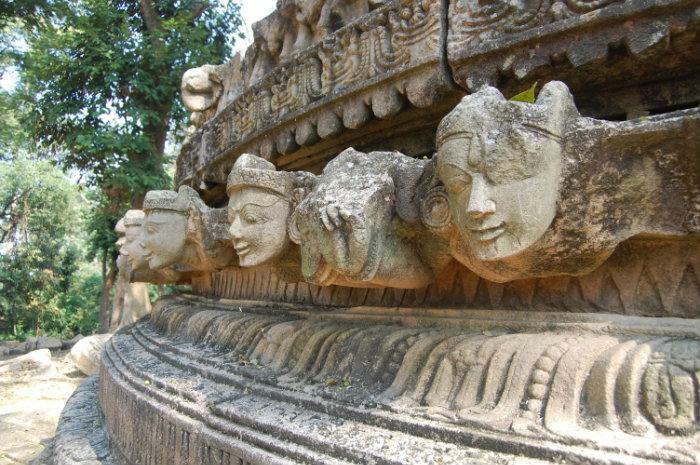 This place is a treasury of ancient sculptures, coins, bricks, temples and many historical artifices all of which are considered to be the source of the 8th and 9th century Assam. 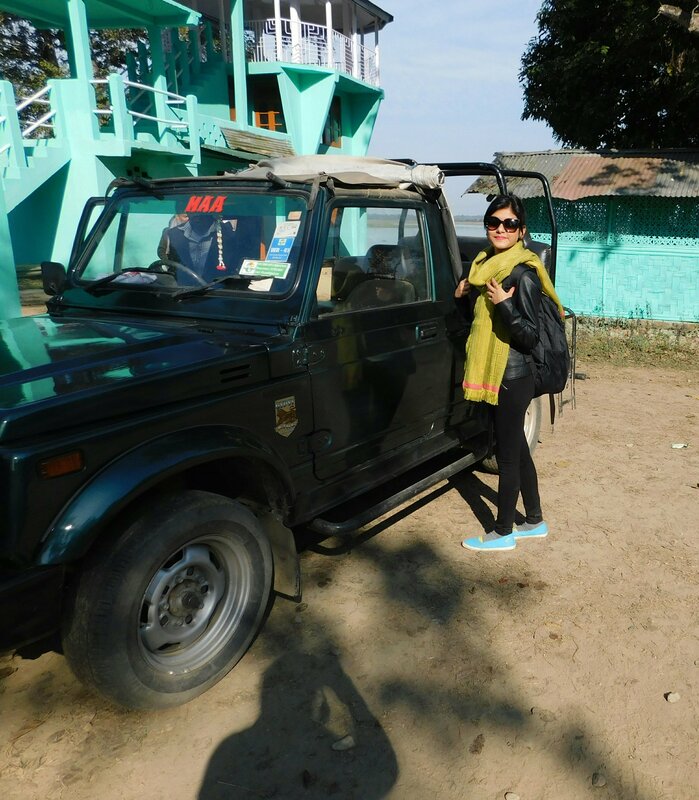 Overall, I had a fantastic time in Kaziranga. This place is truly a heaven on Earth for all the nature lovers and wildlife photographers. I bet you will love it. So do try coming here and enjoy the park. You are going to thank us later for recommending it to you. Until then keep traveling! It's where you get information on Kaziranga National Park. Check out with free Photo e-book! Dear Readers, if you like my story on "Kaziranga National Park", do give us a feedback by clicking the stars! Great Information and awesome clicks. Thank you Ma’am for sharing an amazing blog. Hello I Am Nikita I am also a blogger and This is My hobbies to read travelig and other types of blogs. I want to learn more and more things about Travel and Food etc. I studied many articles on your Blog and Find awesome. You wrote very clearly on every topic. I loved reading your blog. Its very informational & nicely written. It reminded me of my tour to Corbett National Park last year it was wonderful too. I went with a travel company named Redchilliadventures so it was very well organised and safe trip. Kaziranga National Park is a splendour sight and wildlife for photography and takes remarkable journey. Awesome Blog post with elegant pictures. Thanks for this great post about Kaziranga National Park, I have seen many pics of this park on Google but never been there, As I found your this article I feel good to know something about this park. I’m glad for this post, Thanks again for sharing this post with us ! This is the great post about Kaziranga National Park. The pictures are beautiful pictures. I like all of them but the best part was Tribal cottage which makes stays memorable. This article is full of information. Thank you for sharing great pictures. Nice post by Kaveri, amazing view of pics. I wonder how a lot attempt you place to create this sort of excellent informative site. I am reading your blog and realy enjoyed. Thanks for post.